Hayley Monckton of the RHS and local resident Berry Grisenti (4 years old). Photo by Michael Bowles. Volunteer Helen Lowther (Left). Photo by Michael Bowles. 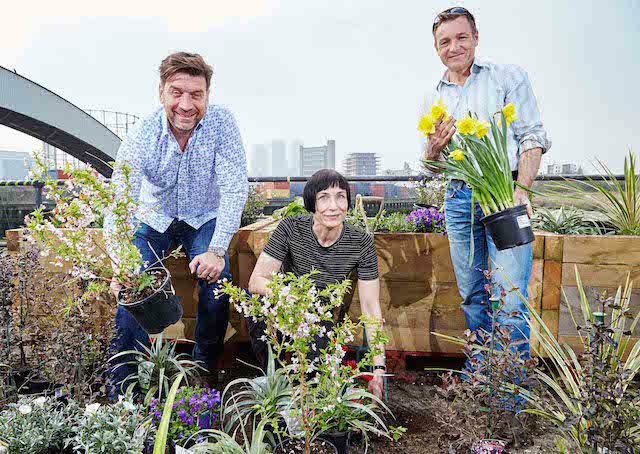 RHS ambassador Nick Knowles, volunteer Beeke Ropers and RHS gardener and ambassador Chris Beardshaw. Photo by Michael Bowles. Volunteers and RHS Staff. Photo by Michael Bowles. 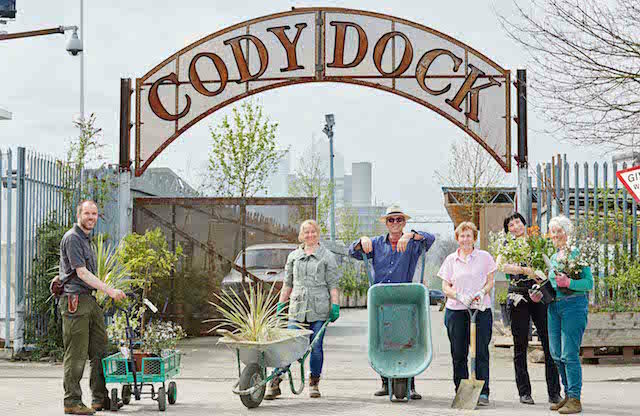 Volunteer gardeners have been working at Newham's Cody Dock since 6am today to create an amazing new colourful flower garden on the final stretch of reclaimed tow path that will unlock 26 miles of walkways and green spaces alongside the River Lea. 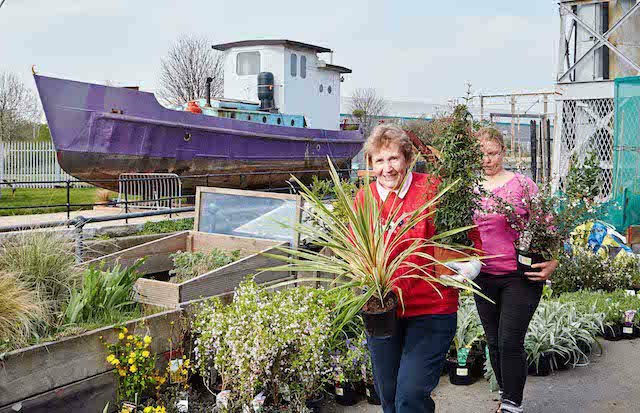 2,000 volunteers have been involved in the three-year community project to revitalise the derelict Victorian dock. One final stretch of riverside pathway remains to be cleared and opened up and with a little help from the Royal Horticultural Society, which is donating plants and expertise, the new garden will be built in one day. 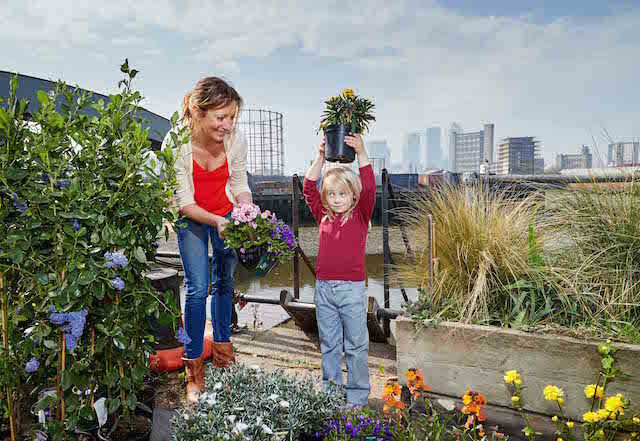 The transformation of Cody Dock will get national recognition as the RHS uses it as the launchpad for Greener Streets: Better Lives, a UK-wide campaign to transform a further 6,000 neglected and run-down spaces into living, flourishing green ones. And as Nick Knowles is there today, along with RHS Chelsea Flower Show Gold medal-winning garden designers Chris Beardshaw and Adam Frost, we hope it makes the telly. Is there a local patch of grey that you could help bring new life to this year? 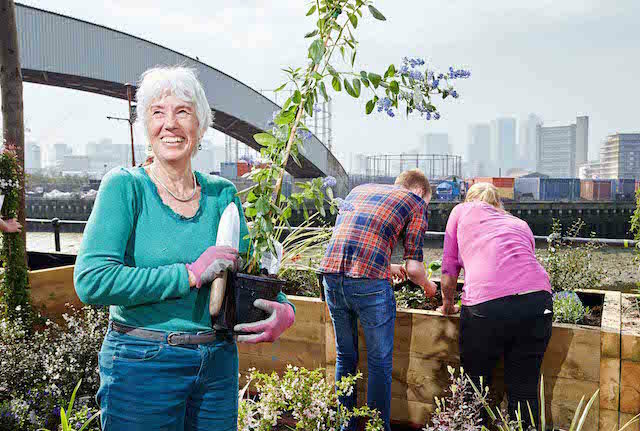 Find out more about Greener Streets: Better Lives, get inspiration and apply for free Nasturtium seeds to get you started online.